Poll: Which Cayman is the one for you? Assuming all three had the same equipment (i.e. 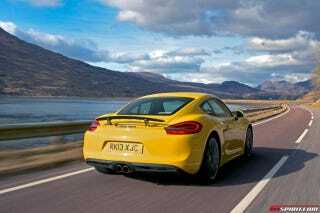 a proper manual gearbox, mimetic polyalloy-dipped wheels, ceramic brake fluid, carbon fiber navigation, bosetronicleatherdoorlampheaters etc), which of the three Cayman models is the one for you?